John Walsh is an expert in the areas of business law and corporate counseling, with 22 years of experience in commercial contracts, corporate governance, mergers and acquisitions, and finance (including commercial lending, angel investment, private placements, and public offerings). Relying on his experience as a lawyer, business owner, educator and public official, John provides a unique legal service to the small business owner, established businesses and publicly traded corporations. John currently serves as Chief Strategy Advisor for Michigan Governor Rick Snyder. John was elected to the Michigan House of Representatives in 2008, serving the 19th District (Livonia), in the State Capitol. He is a member of the Tax Policy, Commerce, and Education committees, and is a Vice Chair of the Government Operations Committee. As an elected official, he brings a unique and extremely valuable perspective to the team at Fausone Bohn. John previously served as an executive at Schoolcraft College where he was responsible for development, operations, government relations and related legal matters. 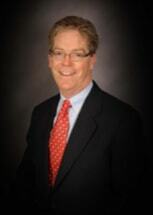 Previously, he was a founder and principal with the law firm of Raymond, Walsh & Enwright, PC. Prior to that, he was a member of Lewis & Munday, PC, and senior counsel with Unisys Corporation. John has given back to his community through his service former service as Vice President of the Livonia City Council, Chair of the Livonia Planning Commission, the Plymouth Road Development Authority and the Livonia Chamber of Commerce. He was a founder and member of the Livonia Economic Development Partnership, and was an elected member of the Schoolcraft College Board of Trustees from 1993-1997.